On Saturday, you’ll talk about financial issues with a man from your home or with someone from among your relatives. It is possible to discuss an expense that he wants to make or a credit he wants to apply for. Your homework on Saturday will be variable because of the different experiences this day will bring with you. This day does not mean long-lasting pessimistic moods; on the contrary, some events or news can make you too optimistic for your near future. This will be a good day for work related to your own business, farm or garden. LOVE: The intervention of a woman in your relationship will seriously disturb you because you have some doubts about the sincerity of her words or actions. If you have recently experienced a separation in love, today a specific event or some news will show you that there is no going back. If you were born under the sign of Aries, Leo or Sagittarius, today you will have occasion for joy or satisfaction related to people or plan important to you. In general, this will be a relaxed day in which you will engage in your daily duties. Today, however, it is possible that someone will share his/her own problems or troubles. If you were born under the sign of Taurus, Virgo or Capricorn, today you will engage in various things that will be related to relatives. On Saturday, you will have time for interesting conversations with friends. This will be a good day for getting involved in material cases. The troubles that worry you today will have a solution in the next few days. If you were born under the sign of Gemini, Libra or Aquarius, today you will have an important conversation with a relative. Overall, on Saturday you will have more work, but hardly anything will surprise you. Today you will make a decision that you will follow in the coming days and weeks. 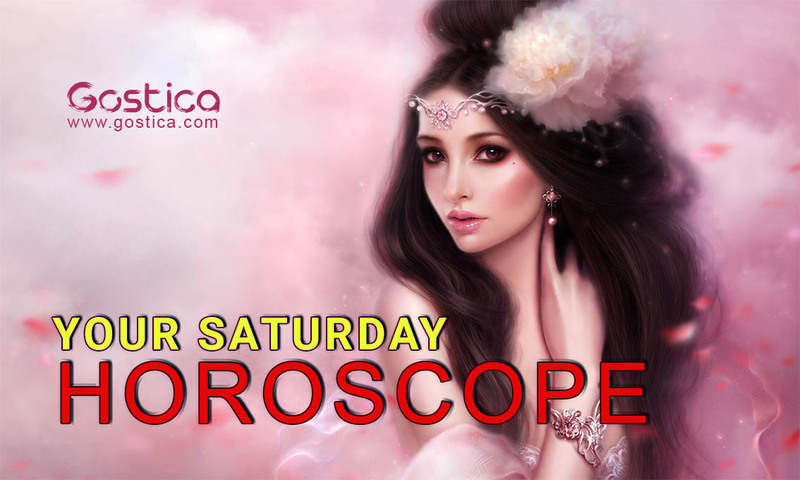 If you were born under the sign of Cancer, Scorpio or Pisces, on Saturday you will have a meeting or conversation with a woman you do not live with together. Today’s news about someone you know will make you upset. You will be able to complete the tasks you have planned in advance for your home and family. Make the right decisions about your work, today, because you will be able to find the best possible solutions. Try to concentrate as much as possible. Even if it seems unfair to you, you will still have to grit your teeth and continue. You can do what you really want if you achieve your main goal. You have to earn it without letting anyone lend you a hand. You can emerge on your own. Those who followed you yesterday will continue to follow you the next day; it’s not always like this. People change over time and you should learn to recognize the signs of change. In fact, everything doesn’t happen all of a sudden and those around you will always give you the opportunity to understand. In the end, you want everything to fall onto the shoulders of others. This attitude must change soon. Propose without being excessively heavy, especially towards those who have difficulty in organizing or choosing new adventures. Take a deep breath and try to be very patient, especially towards those around you and don’t seem to understand where you want to go. You’ll get there but slowly. Gather your strength today and try to make more future-oriented decisions, which will certainly cost you more sacrifice and some difficult times. All these are essential for your growth. Even if there are imposed moments, which you can’t avoid, your path will be much easier if you point straight to a goal and you have to establish it now. Perhaps you are not yet ready for what awaits you, especially if you have to face all your fears at once. It probably took you a little too long to get rid some of the burdens which now keep chasing you. You must overcome your moment of loss, and above all, you must be able to make yourself more independent from others, judgments or unsolicited advice. Try to be a little more open towards the people around you, especially if they are particularly close to your life, to your everyday life. You cannot believe that you can keep them out of certain events. Even if you don’t want to talk about it, doesn’t mean you don’t have to. Communication can’t only be important when it’s convenient for you. You must always use it to grow together!